In this course, students participate in a video letter exchange which broadens perspectives, challenges assumptions and adds cultural context. Give teachers the unique opportunity to engage their students in a global literature and culture exchange with real-world impact. 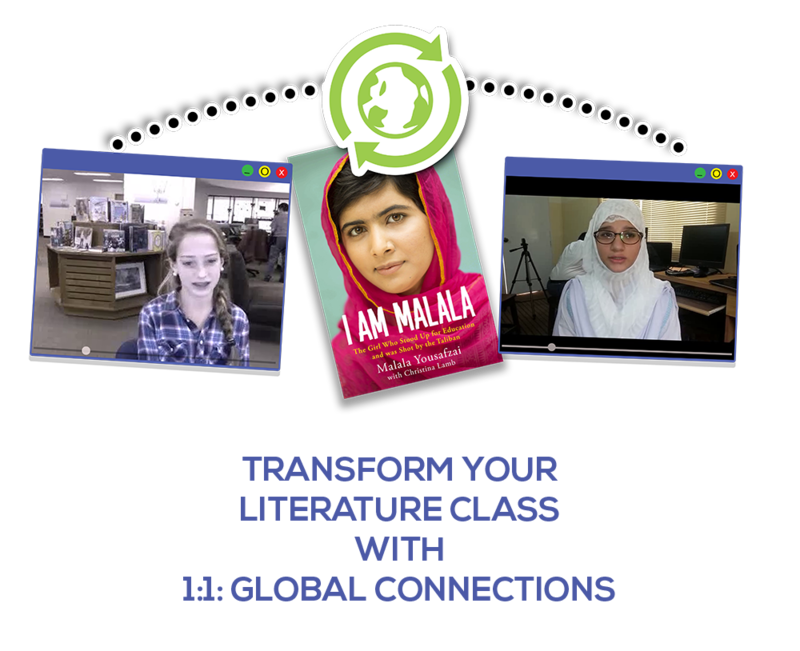 In this course, students read I am Malala and discuss important themes of the book with their global partners. After exploring cultural perceptions of each other’s country, students have a chance to reflect upon and express their own understanding of the role of education in their own lives, while also gaining some perspective on the state of education in their partner’s country. Through the video letter exchange, students also look into leadership and the traits of a great leader, while continuing on to explore the role community service plays in each country. I was surprised to learn that we have many similarities, even though we live differently and are far from each other. I was surprised to learn that even people in Pakistan do many things that we do here. This video letter exchange made me think about myself deeply- I had never considered myself a leader and having the ability to change minds and do good work, and work for the future but now I’m excited to start changing our school, environment and society for the better. It was a privilege for me to talk to my partner, and through this I got to learn so many things.